Tag Archive | "study abroad"
Most students who study abroad find it to be incredibly rewarding and fulfilling. It is an experience that you will carry with you for the rest of your life, and may impact you in untold ways. But there is one minor issue: how do you pay for it? If your parents or grandparents are footing the bill, you have nothing to worry about, but for those students who are paying their own way, here are things to consider so you can properly budget for your time abroad – whether it’s a single semester or several years. 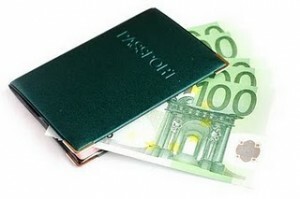 The first and most important consideration is paying for your time abroad. If you are planning to travel overseas for several years, you may be eligible for a student/work visa, in which case, you can earn money on the local economy. However, if you are planning to study abroad for a single semester, you likely will be forbidden from working in-country – so be prepared to save up enough money in advance to carry you through your entire term. To pay for your trip, first determine how much you need. Is the program $5,000? $10,000? Remember, factor in both upfront costs, and those that will be incurred while you’re overseas. It does you no good to pay for your trip if you have no money for living expenses once you get there. For a ballpark estimate of how much you should be putting away every month, use a savings calculator to see how far your money will take you – and how quickly it will get you to your goal. If your current income won’t get you over the finish line in time, consider getting a second job, or starting a secondary business, like Uber or Amway. The extra income you earn could be the last piece of the puzzle. You’ll have to learn a lot of on the fly once you get to your destination. Does the economy support credit cards, or will you need to have cash on you at all times? How does the cost of living compare to home? How does the value of the dollar compare to the local currency – are you making money with each purchase, or losing it? To help avoid culture shock, do a bit of research in advance so that you know the answers to these questions before you arrive. Other things to consider include daily withdrawal limits, using your ATM card overseas, and whether or not you’ll have to pay international transaction and currency conversion fees. In all cases, you should speak directly with your bank or credit card provider regarding these questions. For peace of mind, and to ensure that you’ll have access to your money when you need it. The last thing that you want it to be unable to pay for a meal, or take money from an automatic teller, because your card isn’t compatible in the country you are visiting. If you’re on a fixed income during your study abroad, it’s important that you put together a budget plan. Why? So that you have a good idea of how much money you can spend in a given period of time – say, a week or month, for example. If you spend more in a given period of time than you’ve budgeted for, this means that you have less money at your disposal in the next spending period. If you don’t account for this, you could find yourself completely out of money long before your semester (or year) abroad is over. It should be obvious to everyone that this is far from ideal! Thankfully, there are a number of ways to save money here and there, all of which can help your dollar go further. And if it’s true that overspending leaves you with less money for your next spending period, then it’s also true that underspending leaves you with more! Being frugal here and there – by eating in, bringing snacks with you, visiting free attractions, and taking part in free activities, to name just a few examples – can pay dividends in the long run. There’s nothing better than occasionally being able to splurge on yourself because you’ve followed all of the rules. As a student, there’s nothing better than finding a great spot where you can relax yet get inspired to do that mega exhausting essay. The library isn’t for everyone, so for those who struggle to get started on that crazy word count, many head to a nearby coffee shop to get started…and lap up the free wifi. If you’re lucky enough to study in London, there are thousands of amazing coffee places at your disposal to get your work done along with your caffeine fix. We’ve put together a list of some of our favorite central coffee spots as they’re near the major student flats in London at uk.urbanest.com and the other major student halls. The name was certainly enough to grab our attention, but it did make sense once we saw the bicycle repair shop that’s attached to the side. It’s not just full of cyclists, though! This is one loved by people of all ages as they offer lots of different dishes and drinks, from salads to full dinners. As well as this Marylebone branch, there’s also one in Clerkenwell, yet they’re extremely different. The Clerkenwell version is a bustling must-stop for locals and buzz, yet the Marylebone one seats just 14 people. This tiny hideaway is therefore perfect for those who crave peace and quiet while they work alongside a perfectly crafted coffee. If your palette craves a more vintage taste, the Foxcroft & Ginger is a must just for the floral teacups alone! Take a peek at their delicious savory and sweet treats too, because, after all, what accompanies an essay better than a croissant?! Enjoy a drink with a continental difference in this Australian coffee house. Students are always made to feel welcome in here as it’s so laid back and fresh, yet the coffee beans have certainly not been compromised. Their source for beans includes Brazil, Guatemala and Ethiopia so you know you’ll be getting a high quality brew, whether it’s a coffee or just a tea. The Timberyard experts have done it again, opening a second shop to match their Shoreditch original, complete with the same charm (and wifi!) as the first. Each mug of tea comes with its own timer so you can always be assured you will have the perfect brew to go with your hard work. The cakes certainly aren’t bad, either! Filled with the hustle and bustle of London commuting life during the weekdays, this idyllic coffee spot is a surprisingly relaxed haven when the weekend comes around. Situated on the quieter Leather Lane, this can be a good place to go if you seek a serene environment, yet fancy yourself as a bit of a coffee connoisseur as they brew the finest blends using the finest methods, including using the Chemex filter system. Finance 101: Paying for Your Study Abroad Trip to the U.S. The prospect of studying overseas in the United States is certainly an exciting one for international students — but it’s also daunting. There’s a lot to figure out and take care of before you hop on the plane to America. One of the biggest items on that list is finances: You must set up a budget — and figure out where your money will come from — before you can make any other concrete plans. Read on for a few tips about what to budget for and how to ensure financial security during your study abroad trip to the U.S.
It’s a good idea to first research the average cost of living in the areas where you’re considering going to school. The numbers can vary widely from state to state and city to city; the cost of living in, say, Ohio or Indiana is going to be far less than in New York or California. You might even find such a wide variance that it affects your decision about which school to attend. Be practical and honest with yourself about how much you can truly afford; if your dream school is located in a particularly expensive city, you might have to accept that it’s out of your reach, and adjust your plan — and your dream — accordingly. Health insurance that covers international students in the U.S.
You should also leave a little room in your budget for any unexpected expenses. You never know what might come up during your time abroad, and having a little cash to prepare for those contingencies — both good and bad — will surely come in handy. Once you’ve outlined your budget, your next task is to start figuring out where the money to cover all those expenses is going to come from. It’s crucial to start researching financial aid and scholarships early; it becomes far more difficult to obtain financial help from your chosen university after your arrival, so try to take care of these agenda items as soon as possible. There are often numerous scholarship options available for international students, so work with your school’s international student affairs office to find out where and how to apply. Studying abroad is one of the best things you can do as a part of your overall college experience: You’ll have the opportunity to immerse yourself in an entirely new culture and community while still pursuing your academic goals. But before you ever leave your hometown, you must figure out how to finance your trip. The above steps will help lead you in the right direction so that you can make your overseas study dreams a reality. Many people are smart enough to use their studies to travel and see the world. The common misconception, however, is that you need to have money if you want to study in another country. With the many opportunities being given to students and scholars by schools and other institutions, studying abroad is very possible. Add to that the things you can do to make international studying so much more affordable for yourself and you can create the perfect formula for an exciting adventure in a new country. Here are the top 5 things you can do lower your costs of studying abroad. The first thing you can do if you want to study abroad and do it within your means is to get outside help. You can apply for international scholarships such as scholarships offered by Diversity Abroad. 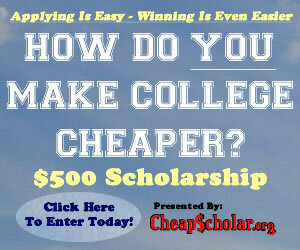 They offer five $500 scholarships for fall and another five in the summer. The great thing about this scholarship is that it targets economically disadvantaged students who really want to study abroad. The list for requirements are available in their website and as long as you have the requirements you have a good chance of getting in. The next thing to think about after you get approved for a scholarship would be to start looking for a place to live if living accommodations are not shouldered by the scholarship. There are many scholarships that offer housing allowances for its scholars but you have the option to choose the place where you want to live. Programs like these are ideal for anyone who wants to save since you can scour places that are inexpensive yet near the school where you live. An apartment that is within walking distance to the school can save you hundreds of dollars for cab or bus fare in the long run. Food is often one of the major areas most students tend to spend on. However, it would be severely impractical if you decide to eat out for the majority of your meals. You can save a lot if you simply cooked your own meals. Experts also recommend cooking meals by batches so you only need to reheat meals when you get home. This works well whether you are living alone or living with a group. The locals are the best people who can teach you the most efficient ways to buy, eat and spend in their city. Not only do you gain more friends during your stay, you are also creating an important support network for yourself who can help you adopt an efficient way of living in a new country. Once you know where the best and cheapest places to shop and eat are, sticking to a budget will not be so hard to do. Most scholarships give out allowances every month. It is important to know how much you are likely to spend each month on food, utilities and other needs and set aside money for those needs. You also need to set money aside for emergency situations. Budgeting may seem like a tedious task, but having a system allows you to look at how you spend the money that comes in so that at the end of the month, you can avoid wondering where all your money went. Getting an education in another country is not really as hard as it sounds. There are many organizations and schools that offer attractive scholarships for students who love to experience how it is like to study in another country. Start scouring for scholarships now and be on your way to another academic adventure in a new country. Today’s guest article comes from Ryan Ayers. He is a writer who creates informative articles in relation to education. In this article, he offers financial tips to students studying abroad and aims to encourage further study through Norwich University Degrees for Diplomacy. Studying abroad is a fantastic opportunity to expand your horizons and travel the world while still pursuing your academic goals. Volunteering overseas offers the potential to help people outside your own community. But what if you decided to do both of those things at once? Like peanut butter and chocolate, popcorn and M&M’s®, or french fries and milk shakes, studying and volunteering abroad pair surprisingly well. If you’re considering volunteering during your study-abroad trip, read on for a few ideas on how to prepare. Once you have this list prepared, you can begin to create a budget. This will depend on numerous factors, including the amount of cash you have saved up beforehand, any monetary assistance you receive from your parents and your level of financial aid. Bear in mind that volunteering will take away from—or even eliminate—any time you might spend working at a paying job. Once you have your budget squared away, the next step is deciding where to volunteer. This might be contingent upon where you’re studying; teaching English to school children is a great option in South America, but not exactly necessary in English-speaking countries like Australia or Ireland. Look into options close to where you’ll be living in order to keep your commute time short, and try to consider how you can best give back to your adopted community. Since you’ll be taking classes and volunteering, you might give some thought to finding a way to allow your volunteer work to supplement your education. For example, nursing students might apply to work with an organization like Nurses Without Borders to gain experience in the field, or pre-med students might volunteer with Doctors Without Borders or a similar organization. Students of archaeology might consider volunteering to help at a dig site. Volunteering while studying abroad is a great way to make the most of your time overseas. Numerous considerations go into such a trip, and you must plan for every possible contingency. Do your research thoroughly before you ever set foot on a plane, and trust your instincts. You’re sure to enjoy a productive and memorable study-abroad trip—and, with any luck, your memories of it will be every bit as delicious as that handful of popcorn and M&Ms. A life-changing study abroad trip can turn into a nightmare if your finances start running low or run out completely. It’s tempting to spend money on fine ethnic dining, a trip to the café every morning or buying expensive souvenirs for all your friends and family back home. But being smart about budgeting saves you from worrying about whether you’ll even have enough money to pay the baggage fee at the airport. Here are some tips for saving money while studying abroad. Most cellphones won’t work in other countries, anyway, and buying a cellphone abroad can get pretty expensive. Instead, take advantage of online communication. Email, blogging, social media and Skype are good alternatives – and they’re free. Skype, and even some email and social media sites, allow you to video chat with friends and family if you’re feeling homesick. There is no cheaper method of travel than walking. If you’re staying in a city, hoofing it is fairly easy and saves you money you would’ve spent on taxis or buses. Walking also lets you experience the country’s people and culture firsthand. Just make sure to pack a sturdy pair of walking shoes. It’s okay to splurge on fine dining every once in a while, but eating at expensive restaurants every day will drain your finances. If possible, buy groceries from local stores or vendors and cook your own meals. When that’s not an option, eat at inexpensive restaurants, preferably those with student discounts, lunch and dinner specials. Calculate your monthly expenses – including transportation, food, textbooks and entertainment – and withdraw the amount you’ll need each month. Don’t forget to withdraw a little more than needed in case of an emergency. This helps you keep track of your spending so it doesn’t get out of hand. It might not seem obvious, but staying safe while traveling is another way of saving money. Taking measures to hide your money and not wear expensive clothing or accessories makes you less likely to be robbed. Not jumping off that 20-foot cliff into the nearby lake reduces your chances of being rushed to the hospital. Being covered by an international student health insurance policy helps you avoid paying expensive hospital bills if you do decide to jump off said 20-foot cliff. Being frugal while studying abroad is possible. Don’t let your trip abroad be ruined by making poor financial decisions. Make an effort to stick to your budget and take advantage of affordable or free activities, and you’ll be heading back to America with an intact bank account. When the travel bug bites, some of the first fantasies that come to mind are exploring the Amazon Rainforest, worshipping at Hindu temples in India or running with the bulls in Spain. So, given all of these adventurous possibilities, why would anyone choose to go to the rainy U.K.? This is often one of the first reactions among students looking to study abroad and travel enthusiasts alike, but let’s look at some of the pros and cons of what the U.K. (specifically, the University of London) has to offer for travelers with a thirst for culture and adventure. If you’re interested in becoming involved with the world of international business, London is an ideal destination for your specific professional pursuits. London offers virtually unlimited access to nearly 375 million European Union consumers, which naturally carries opportunities for developing experience and sharpening professional skills. London is the second largest financial capital in the world, home to more than 13,500 overseas companies from more than 90 countries and the base of over 100 of Europe’s 500 largest companies. Let’s face it: If you’re in London, you’ll probably experience some rain. This might be annoying at first, but after a while you’ll get used to it. In fact, it may even start to become part of the city’s charm. Remember to forget your umbrella some days to experience London like a true native. It can be tough for international students to adjust to a new overseas culture, and that’s why the University of London strives to make overseas students feel as welcome as possible. Students are encouraged to take advantage of on-campus accommodation, which includes a modern, single-student bedroom with a shared kitchen and bathroom. International students are fully integrated in the classroom and outside of it with both UK students and the 200+ study abroad students the university draws in each semester. Good things in life don’t come cheap, and London is one of them. This land of opportunity for international students comes at a pretty high price tag—and that’s without the daunting conversion rate between the U.S. dollar and the British pound. The cost of living in London is even 10 percent higher than the cost of living in New York, which might put a dent in the savings of many American students. 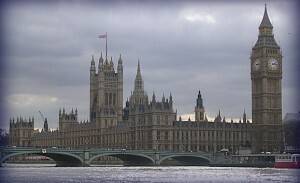 Ultimately, it’s up to you to decide whether London is the right city for your study abroad trip. 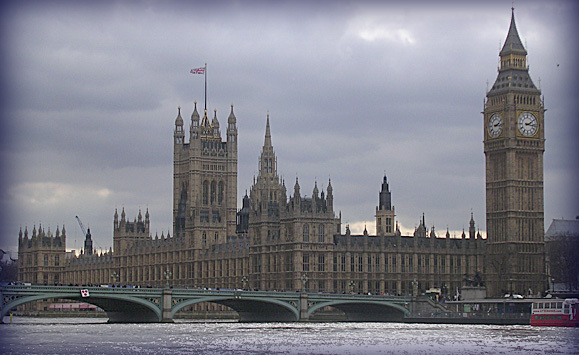 Although everyone will approach these problems and benefits in a unique way, one non-negotiable factor of studying in England is the need for insurance for studying abroad in the U.K. It might add an extra minor expense before your trip, but it could end up preventing a major one throughout your stay. Study abroad isn’t a one-size-fits-all experience, so be sure to give this decision a lot of thought before committing to our friends across the pond. Regardless of your destination, a study abroad trip is a once-in-a-lifetime experience that will teach you far more than you could ever learn in a domestic classroom. Today’s guest article is provided by Kristine Esser. She enjoys writing about study abroad opportunities for college students. With college admissions rates dropping across the board, today’s college applicants are looking for ways to diversity their applications and land a coveted spot at one of the top schools on their list. Likewise, college admissions committees faced with thousands of student portfolios are looking for ways to narrow down a pool of applicants. Volunteer experience, especially volunteer abroad experience, is one such way that you can stand out from the crowd. Volunteering teaches life and leadership skills, including interpersonal skills, written and oral communication, public speaking, team building and group management, and time management. Travel volunteer experiences allow you to get to know another culture and perhaps even practice foreign language skills. All of this adds up to a college admissions candidate who is caring, well-socialized and on the path to becoming a leader. This is exactly the type of student that colleges want! Students who serve abroad have demonstrated that they are willing and able to step outside of their comfort zone and have new experiences. While you obviously gain plenty of life experience on a short-term volunteer abroad opportunity, the learning isn’t something that has to end back home. In fact, you may be a more impressive candidate if the service learning doesn’t end when you return home. Volunteer organization Do Something published a 2011 study revealing that admissions committees look particularly favorable on students who had a memorable volunteer experience abroad and were able to translate that experience into something back home. So if you particularly enjoyed teaching children to read in Ethiopia, you may find fulfillment back home by becoming involved in literacy tutoring or with new immigrant programs. You’re taking the interests and service learning skills from your travel experience and incorporating them into your everyday life. In short, you have a passion for this type of service, and you are demonstrating it. Likewise, if you take steps before you leave to gain skills related to your volunteering abroad, this will impress college admissions committees. For example, you may take six months of Spanish language classes or become involved in academic tutoring in your school, with the goal of traveling on a service learning program and using these skills to serve internationally. While you may have experience in student government, extracurricular clubs, international volunteering and volunteering at home, college committees want to see more than a laundry list of student service. The key to selling service learning in the application is communicating the depth and the meaning of the experience. Committees want to see that an experience was meaningful to you on a personal level, and not just an obligation. Since many high schools have a community service requirement as part of graduation, taking the time to communicate the personal tie to the experience is key. A teacher, parent or even a friend can help you craft a strong personal essay that explains how your volunteer abroad opportunity has transformed and enriched your life, and how you plan to continue your passion in college. Using the entering cohort from 1999, 95.3% of students who studied abroad graduated within 6 years as compared to 68.5% of students who did not study abroad. Study abroad students earned higher grades and completed degrees in four years at a higher rate than their peers. The average study abroad student earned a cumulative GPA of 3.21 compared to 3.12 for peers who didn’t study abroad. 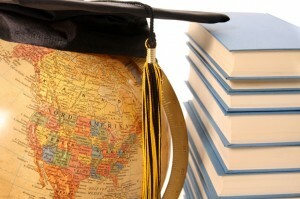 Study abroad students had a probably of .91 of completing a bachelor’s degree in four years compared to .84 for peers. Completely school faster with better grades will work towards higher-income out of college and lower student debt. That, coupled with the invaluable experience, is a total win. Plan ahead when looking for volunteer opportunities to select the right opportunity to meet your personal goals and impress college admissions officers. Choose something about which you are truly excited. There are so many interesting and unique ways to serve that you don’t need to volunteer somewhere just because you think it will look good on an application. A successful service learning trip will be something that is first and foremost meaningful to you, then geared toward resumes or college admissions second.